It seems I was born loving communication. If newborns could talk, I am sure I would have tried because I LOVE to connect. And chat. And write. And laugh. And grow in my faith. And learn about people. And be honest. And I most definitely love to do this about subjects I love. Therefore a blog about my faith and my family is a marriage made in blog heaven if you ask me. 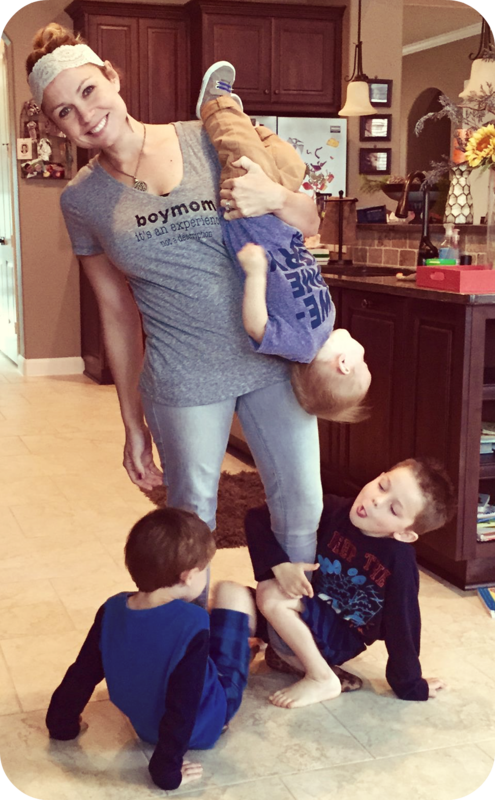 Throughout these posts you will hear about my learning moments and proud moments and humbling moments as a mother of FOUR (that’s right, four!) young boys but hopefully you will also hear how I am learning to see God’s goodness and grace threaded through them all. Sometimes with laughter. Sometimes with tears. And many times with both. You see, I thought I kind of had life figured out, then I became a mama. And everything I thought I knew about life changed because it is scary to love four little precious beings so much. And this is my chance to write about it. So here’s to growing into the woman God calls me to be with spit up on my shirt and a tantruming child at my feet. Welcome to Sanctification and Spitup.